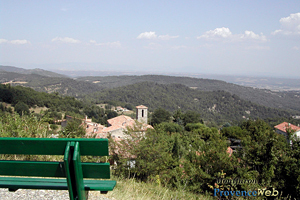 Departement of the Alpes de Haute Provence - Luberon - Pop. : 200 inh. 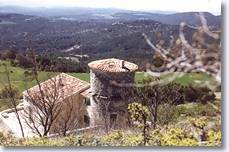 Montfuron is a small village peacefully situated in a superb natural environment. 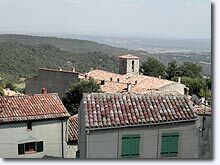 With Manosque, Gréouxand Apt nearby, you can enjoy the tranquil atmosphere that reigns in this picturesque village. 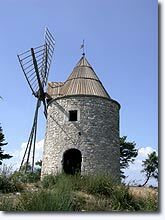 Montfuron is proud to possess the only windmill in the region which still functions today... don't miss it. 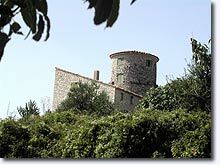 To visit the interior, the keys can be borrowed from the town-hall or the "mairie". An outside map table and wind guide helps you to orientate yourself and put a name to the mountains and plains that stretch out into the distance! 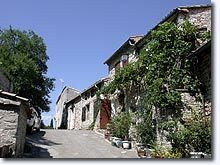 While walking in Montfuron, you can visit the beautiful stone church and the Saint-Elzéard chapel which dates back to the 12th century and is classified as an historic monument. 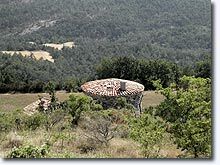 an excellent pretext to discover the beautiful countryside that surrounds the village. 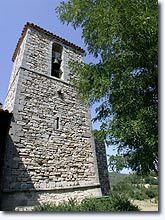 12th century Notre Dame Saint Elzéard parish church. 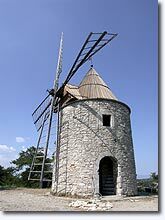 Windmill (contact the townhall : 04 92 76 43 95). 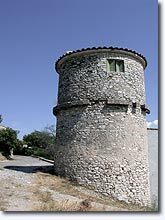 Villemus (5km), Montjustin (9km), La Bastide des Jourdans (10km).